Name: Frank Russell Moon, Sr.
"The wedding of Frank Russell Moon and Annie Dunscomb Horsley took place June 26, 1901, in Grace Church, Buckingham County. The bride, escorted by her brother, Alexander Caldwell Horsley, was attired in white Paris muslin trimmed with lace and carried a shower bouquet of roses. Her attendants carried ferns and daisies." "Conducting the service was Rev. 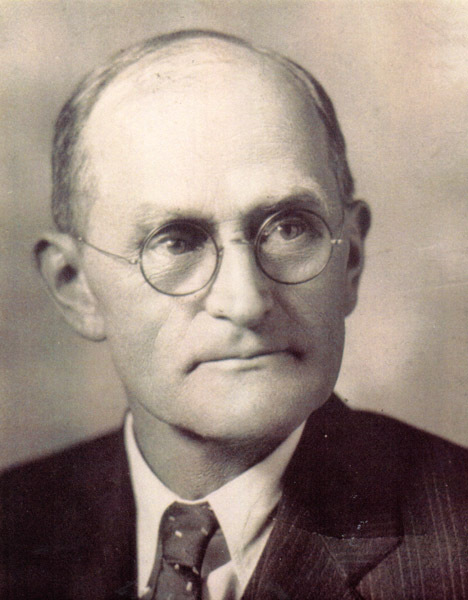 T. H. Lacy. The groom was attended by his brother, Cary Nelson Moon. Mrs. John Horsley played the wedding march." "After the wedding, an elaborate luncheon was served at Traveler's Rest, Warminster, home of the bride. Annie is the daughter of the late John Horsley and great granddaughter of Major Charles Yancy of Virginia." "Mrs. Henry Burton, matron of honor, was attired in her wedding gown of white silk." Frank and Annie Moon lived at Travelers Rest in Buckingham County, VA, where Frank farmed for many years. 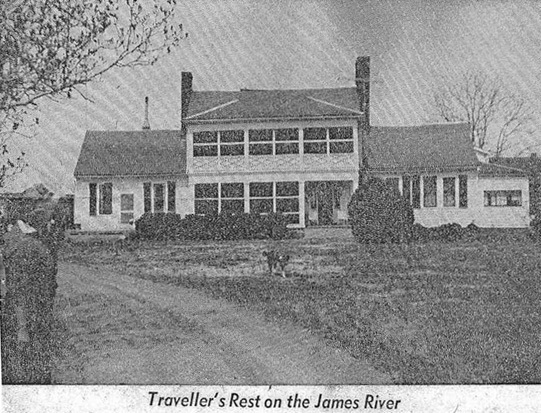 Travelers Rest is located on the James River near Warminster. It was built in 1724 by William Horsley who came from Warminster, Wiltshire, England. The house remained in the Horsley family from the time it was built until it was sold in 1972. Frank and Annie (Horsley) Moon had a son named Channing Moon. 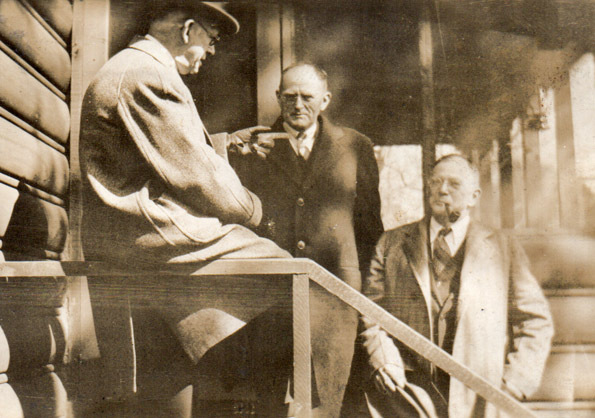 Channing and his wife, Ethel, were the last members of the family to live at Travelers Rest. The children of Frank and Annie (Horsley) Moon included Channing Horsley Moon, James Cary Moon (died in infancy), Frank Russell Moon, Jr., Annie Moon (died young), and Mary Louise Moon. Annie Dunscomb (Horsley) Moon passed away on June 15, 1949, in Buckingham County, Virginia, and is buried at the Travelers Rest Cemetery. Frank Russell Moon, Sr., passed away in Charlottesville, VA, on February 5, 1955; he is buried near his wife, Annie, at the Travelers Rest Cemetery. This photo of Frank Russell Mo, Sr., was provided courtesy of Cenie Re Sturm, Scottsville, VA.
Second Image of Travelers Rest appeared in an unidentified Virginia newspaper clipping. This photo of N.T. Sclater, Frank Russell Moon, and Cary Nelson Moon was provided courtesy of Cenie Re Sturm, Scottsville, VA.
1. Sketches of The Moon and Barclay Families Including the Harris, Moorman, Johnson, Appling Families compiled by Anna Mary Moon, Chattanooga, Tennessee, November, 1938; p. 25-27. 2. 1880 U.S. Federal Census, James River District, Buckingham County, VA; Enumeration District:34, 16 June 1880, p. 26, Dwelling No. 233. 3. 1910 U.S. Federal Census, James River District, Buckingham County, VA; Enumeration District 65, 12 May 1910, p. B4, Dwelling No. 72. 4. 1940 U.S. Federal Census, James River District, Buckingham County, VA; Enumeration District 55, 16 April 1940, p. 8B, Dwelling No. 135. 5. Certificate of Death, Commonwealth, VA, Warminster, Buckingham Co., VA; Annie Dunscomb Horsley Moon, d. June 15, 1949; State File No. 15591. 6. Certificate of Death, Commonwealth, VA, Warminster, Buckingham Co., VA; Frank Russell Moon, died February 5, 1955; State File No. 2557. 7. Early Cabell Family Graveyards by Archer Minardi, 2008; Burials at Travelers Rest House Cemetery, Buckingham County, VA; p. 62-63.